Marlborough House, formerly Brentford Cottage Hospital, has been a popular subject of postcards and photo from the early 1900s. 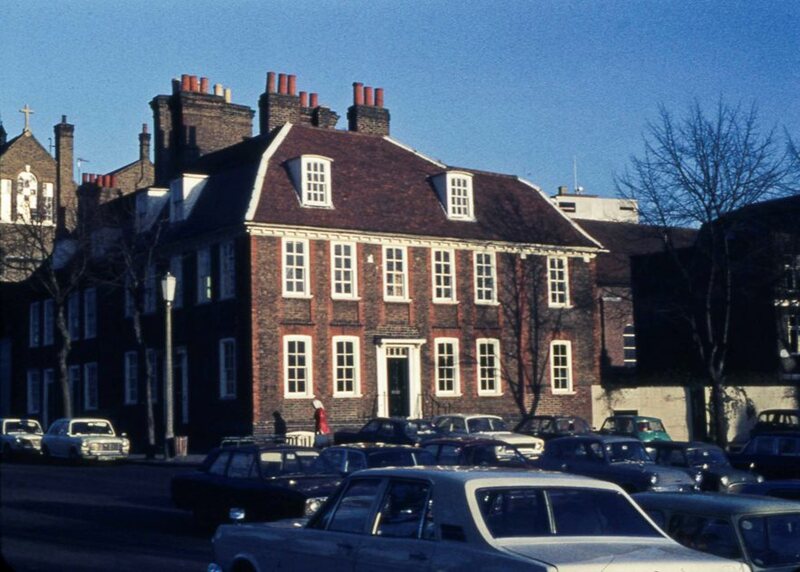 Peter Young took this photo on 22nd January 1973, catching glimpses of the 1920s extension to the convent of St Mary and St Raphael to the left and a 1960s tower block to the right. There are several other views of Marlborough House on the site, eg an early 1900s postcard; or search for "Cottage Hospital" on the home page.